Learn languages with refugees for a multilingual UK society. The project: learn and practice languages to connect with your community. 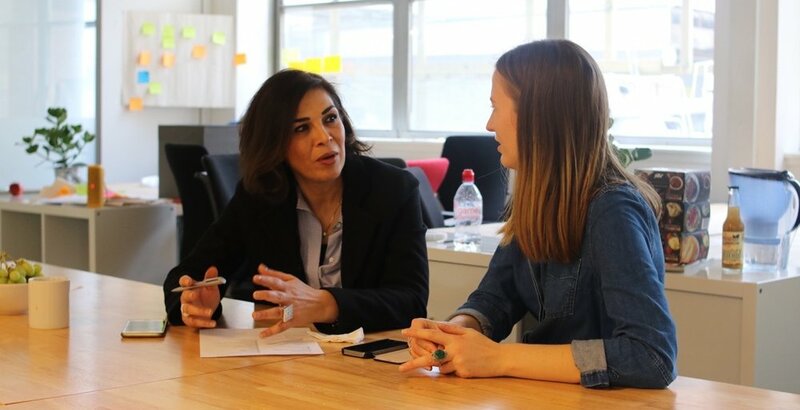 Through recognising the untapped talent and skills within the refugee community, this initiative aims to connect refugee language coaches and language learners across the UK, in order to test and evaluate new models of language learning, and measure the integration experience for coaches and students. Funded by the European Union, the AVAIL project is running various integration and advocacy initiatives in the UK, Ireland, Italy and Latvia. In the UK, this includes a collaboration between the British Red Cross and Chatterbox Languages. ALREADY LEARNING A LANGUAGE? Receive 5 hours of free online conversation (intermediate or advanced level), choosing from: Arabic, Spanish, French, Mandarin, Korean, Persian, Turkish, Swahili, Hindi, Urdu and Somali. WANT TO START LEARNING A LANGUAGE FROM SCRATCH? Receive 5 hours of free online coaching to learn Arabic or Spanish. We are seeking to enhance the integration of refugees and asylum seekers within local communities. To evaluate our work and improve your experience we would like to ask you some questions about your experience with us. Your answers will be anonymous and will not influence your participation in the project. In the future, the British Red Cross may also ask you for a short interview to discuss your experience of working with Chatterbox. Chatterbox is a smart online language learning service for professionals powered by refugees. We uniquely combine AI powered self-study courses with regular practice alongside algorithmically matched native language coaches from the refugee community. Coaches are paired with students based on shared professional backgrounds and interests, achieving industry topping completion rates and unbeatable relevance in learning. On our app engineers are learning Arabic from fellow engineers and aid workers are learning French from medical doctors. And while our clients learn, our refugee coaches earn a living, improve their employability, and reclaim their professional identities.